It’s kind of like that. I’ve caught myself, while trying to be the ‘good’ Christian, chastising others for something that I do. Hypocrisy at its best. I don’t know if I can point out others ‘mistakes’ easier because it’s like looking in a mirror, or I am completely oblivious to my own ‘mistakes’ because I can only see theirs… (I’m sure you’re well aware of Matthew 7:3-5). Another issue for me is while I think I’m showing them their ‘mistakes’ to help them fix their ‘issues’- you know, so they’re getting ‘right’ with God- I forget to show them His love (incidentally the love He already has for them, whether they’re ‘right’ with Him or not). Why is it so easy for me to want to teach all of the commandments- while ignoring Jesus’ self-proclaimed greatest commandment: Matthew 12:30-31. Love God first (which I am trying to do), love others (which I tend to forget how). How loving am I being when I am only pointing out other’s faults? That is not very Christ-like. Jesus always showed love- to everyone He met. I choose who I love. If I think you’re too much of a challenge… I don’t have time for you (apparently I don’t want to put in the extra time and work- which could be its own message in itself). However, if you’re ‘almost there’, then I’m willing to lend a hand (and possibly take the credit of ‘converting another one’- filling myself with pride of the ‘job well done’- probably another message on its own as well). The thing is- we forget- in our own judgmental minds- that we’re not the ones to judge. (Matthew 7:1-5, Luke 6:37, James 4:12, Romans 2:1-3, Romans 14:10-12, etc.) Only One can judge (James 4:12, 2 Corinthians 5:10, John 3:18, Hebrews 9:27, Romans 14:12, etc.). The other thing is- Jesus didn’t come to judge the world- He came to save the world (John 3:17, John 12:47) So, if Jesus came to save the world, why are we quick to judge it? 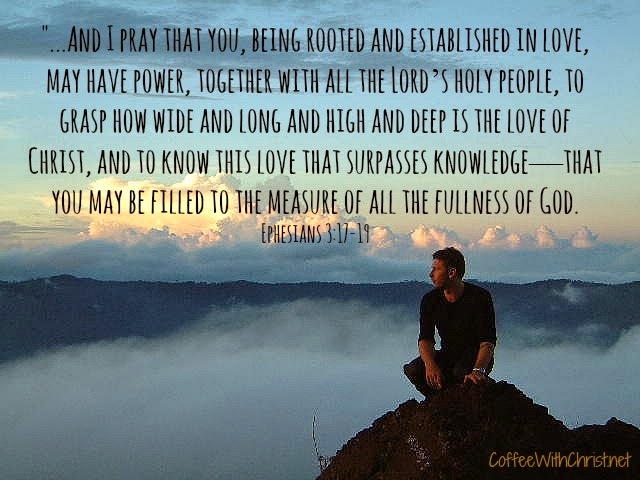 God’s Love, because of its immeasurable depths and heights, is enough for all of us. And it’s enough for us to share. Maybe we should practice being the Christians that Gandhi thought we should be. “Be the change that you wish to see in the world.” Hmmm… I’m pretty sure our Christ would like us to be that change in the world.